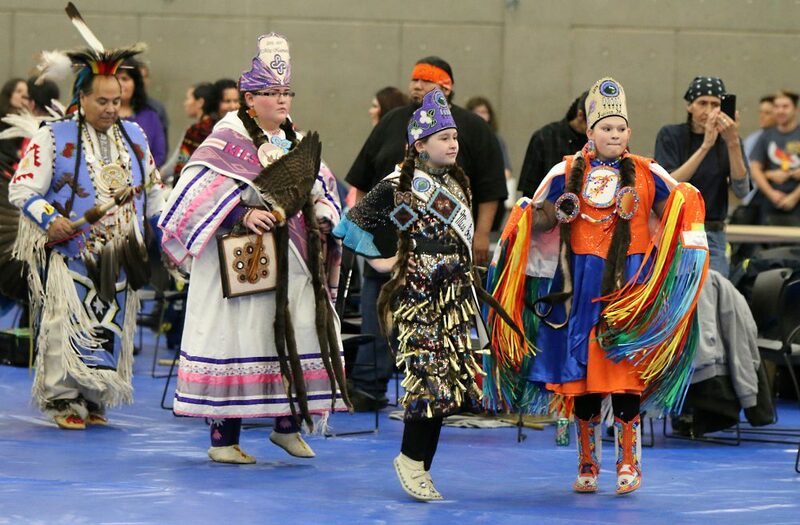 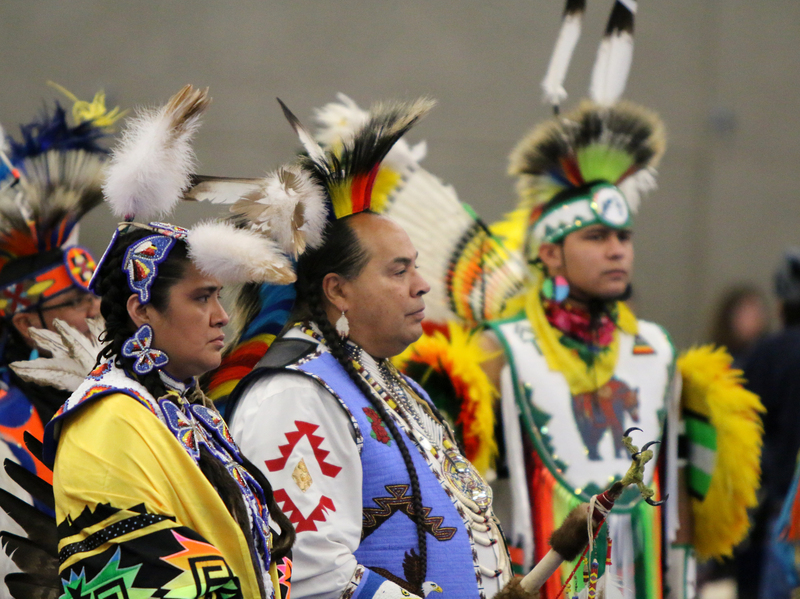 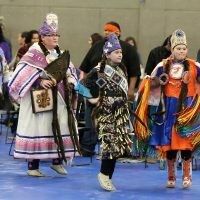 There was more to the 18th annual “Wacipi” (“They Dance”) Traditional Powwow than drumming and dancing last Saturday, Jan. 21 at PCC’s Sylvania Campus. 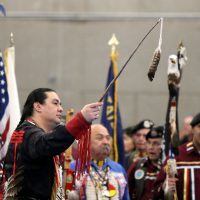 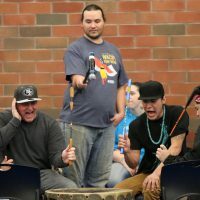 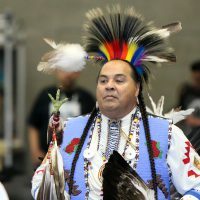 This year, organizers of one of Portland’s largest powwow gatherings raised almost $4,000 for Native-American scholarships and student success at the college. 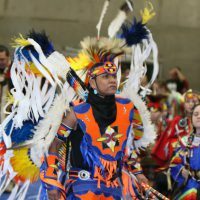 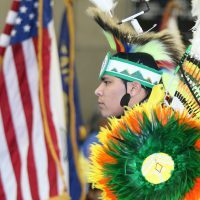 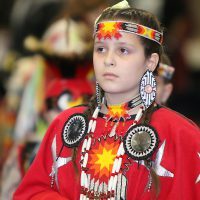 Each year, it attracts people from all over the region who celebrate Native American culture and tradition through a free community dinner, dancers and drum groups, and local Native vendors. 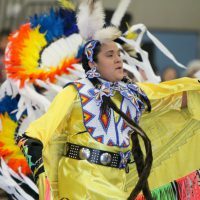 The money raised from the powwow benefits PCC’s Native American Scholarship Fund. 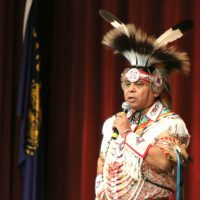 Honored guests included master of ceremonies Bob Tom (Confederated Tribes of Siletz and Grand Ronde), whip man Ed Goodell (Confederated Tribes of Siletz), co-host drums Bad Soul and Shute Number 8, and head dancers Dietz and Rose Peters.